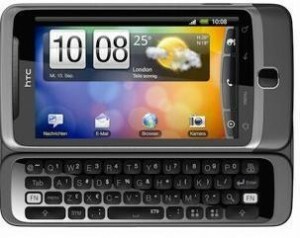 News is that HTC Desire is going to get the Android 2.3 Gingerbread update which the company announced on its Facebook page. Sense includes a number of proprietary apps that are versions of the Web services like Twitter. HTC Desire is quite identical to the Nexus One smartphone which is also made by HTC. When customers pushed for the Desire to receive the update as well, HTC declared that despite its engineers’ attempts, both Sense and Android 2.3 could not fit on the phone at the same time. Customers quickly made it known which of the two pieces of software they’d rather have. HTC is yet to declare which apps it will get rid of from Sense though it seems like Twitter app peep will take a hit. No dates have been announced for the Gingerbread release yet, but HTC noted that customers should start looking for status updates on the upgrade next week. Why the Delay in Gingerbread Updates for Android Phones? Previous Unlocked GSM iPhone 4 launched!